My Mom used to do quilling a lot when i was young...taking long thin slivers of paper and wrapping them around needles to make little whorls and spirals and then gluing them together to make amazingly intricate patterns...but she NEVER made anything and beautifully macabre as this!!!! 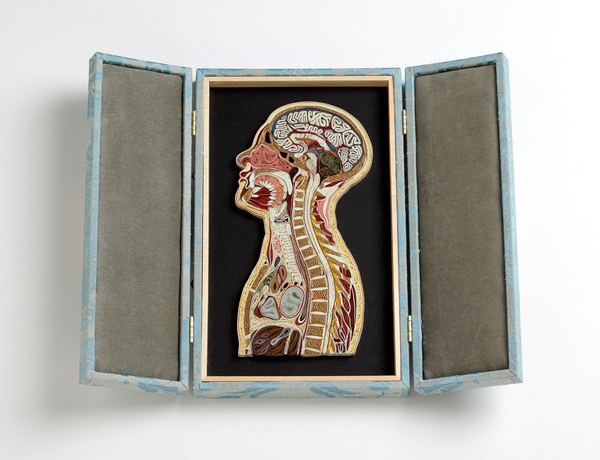 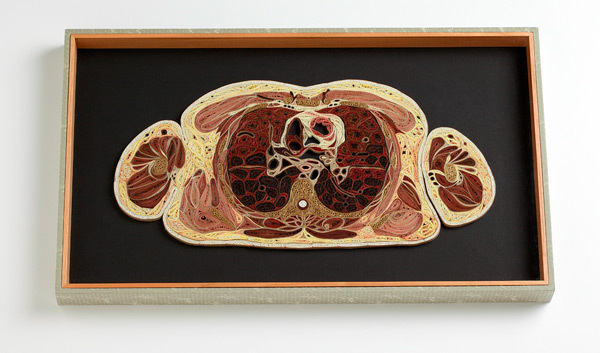 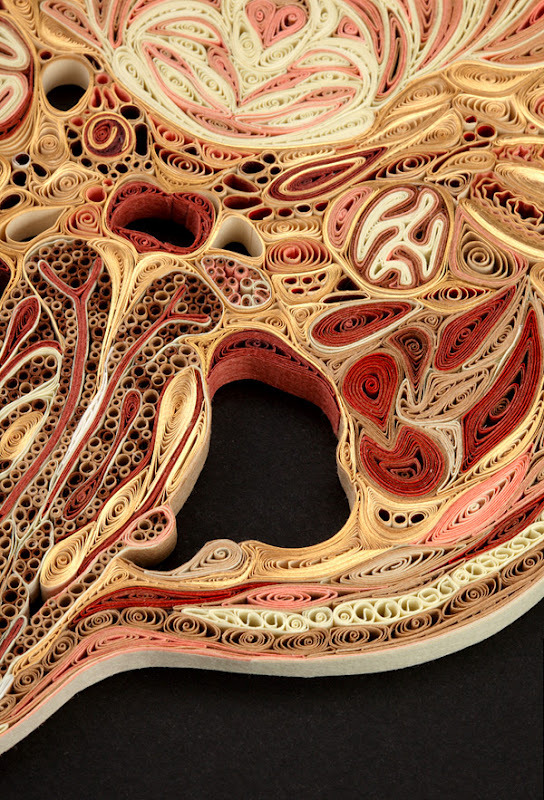 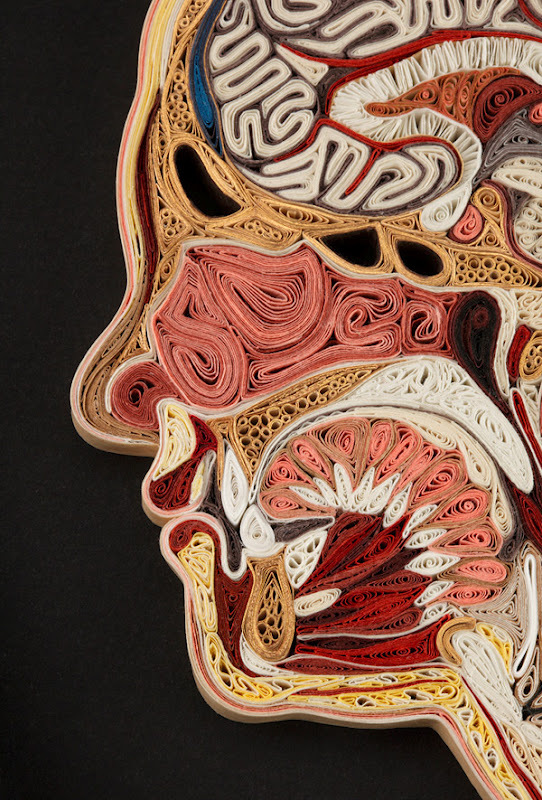 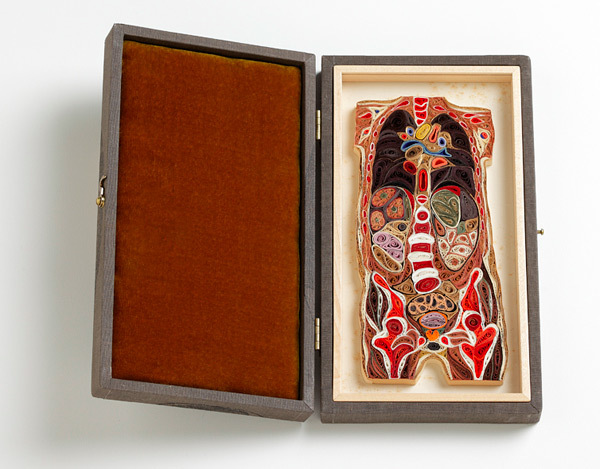 Lisa Nilsson creates these stunningly realistic cross sections of the human body using the very same quilling technique.....creating organs and muscle and revealing the inner beauty of the human body with simple bits of paper!!! 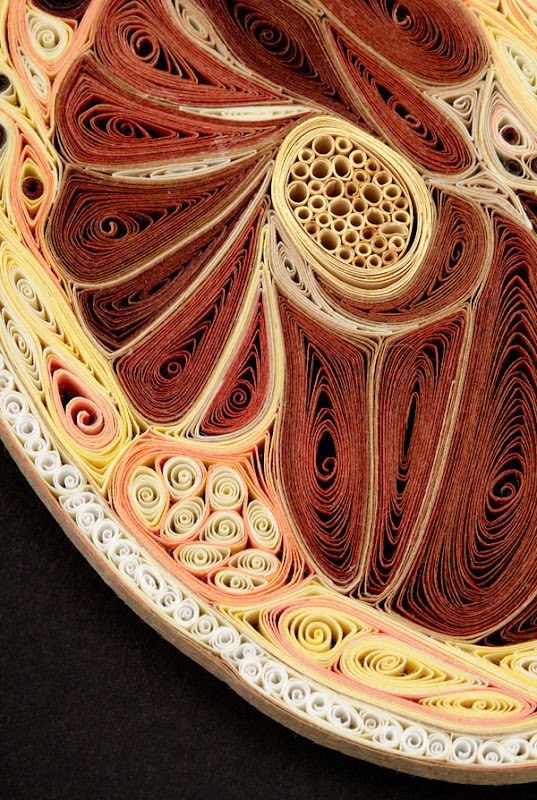 The work is intricate ...time intensive but stunningly beautiful!!!!! 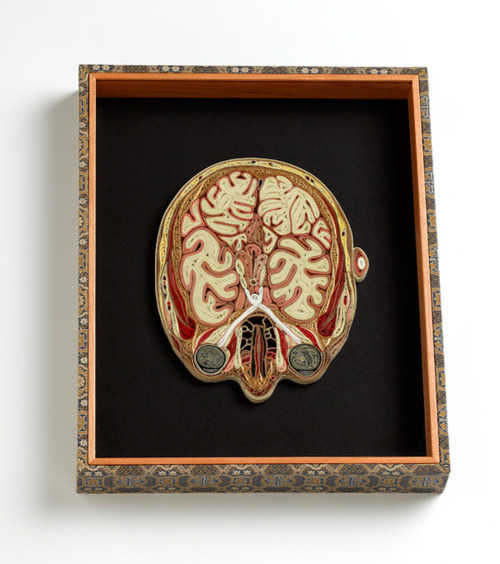 Wish I had one...would look so amazing in my apartment! !